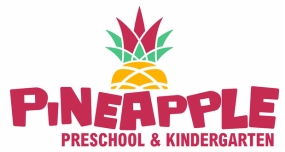 Pineapple Preschool & Kindergarten is The Best Montessori School in Medan, Indonesia. Young children learn about the world around them through the constant use of all their senses. The Sensorial materials and activities are designed to develop the five senses of the children to aid and heighten their senses for learning, and isolate quantities such as colour, form, texture, size, weight, sound, smell and dimensions. The Montessori Mathematics apparatus serve as a concrete method where the children learn concepts of mathematics. The mathematics apparatus help the child with a clear understanding of the basic mathematical operations. They gradually progress on to the abstract level of mental calculations and problem sums to prepare them for formal schooling. The children learn to read through a series of graded exercises and activities. In the first stage, they learn phonic sounds through various fun activities, recognizing and associating letters with phonic sounds. Cultural Studies provide the foundation for children to learn about the world around them as it encompasses Science, Geography, Botany, History and General Knowledge. The Cultural materials and topics which the children manipulate and discuss in the classrooms develop their understanding of the world around them. Why Pineapple Preschool & Kindergarten? With Montessori Education, we are able to provide our children with all necessary development to prepare them pyshically, mentally and emotionally.